I am an inveterate reader – put it in front of me, and I read it. The only thing I don’t read is my smartphone – mainly because I don’t have one. Because of this, I’m free to read signs – neon signs, metal signs, wood, plastic and paper – in windows, on walls, up on billboards, on the sides of buses and the walls of subway cars. In fact the subway is where reading all came together for me. Well, I don’t ride the subway quite as much but I still read signs, always, all the time, and some of them merit a second look. 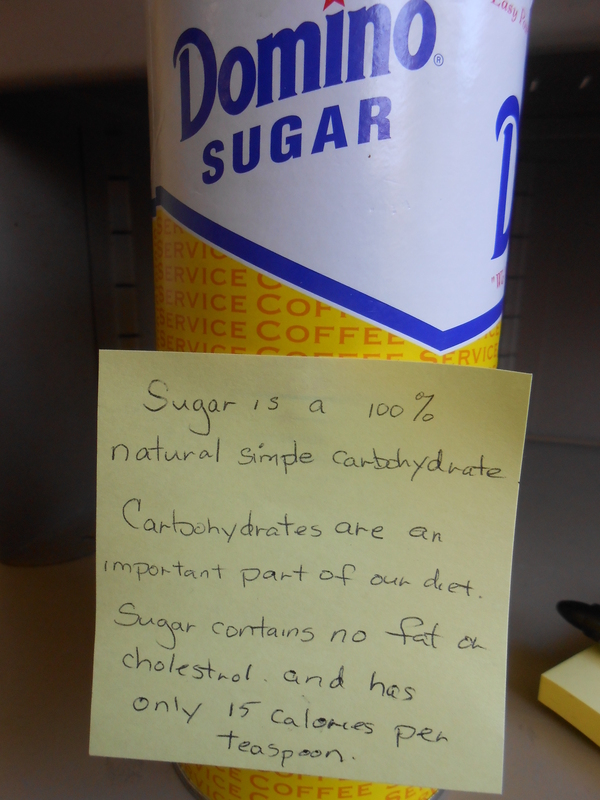 Speaking of coffee, let’s start with this one. 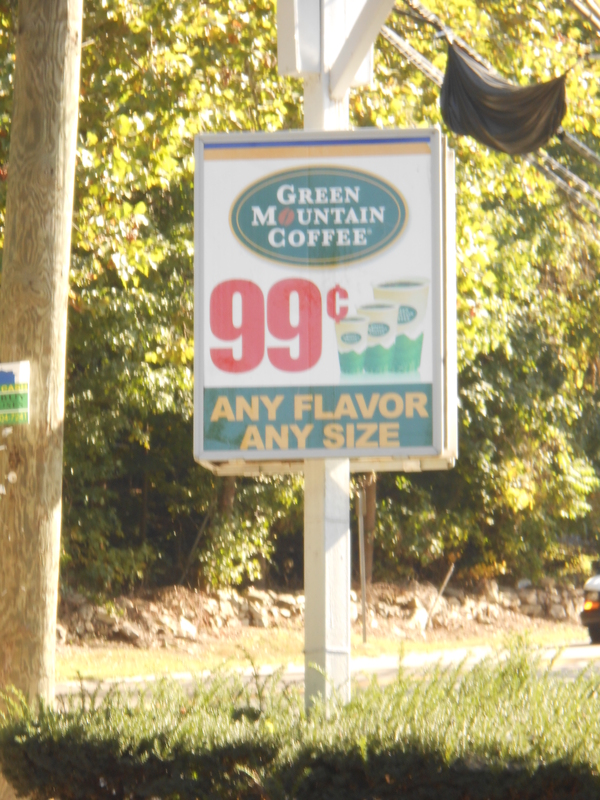 Do you remember when coffee was the flavor? And how about this in the front of Office Depot. 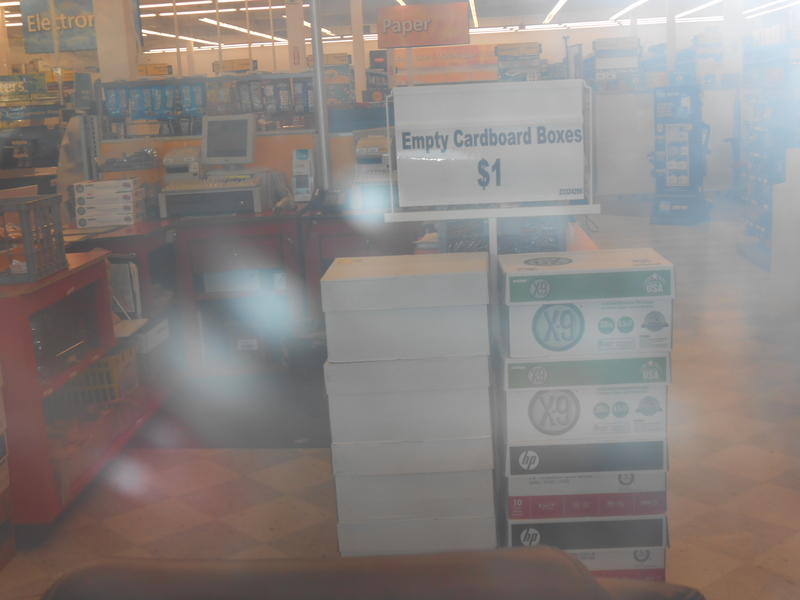 Empty cardboard boxes – -$1.00 ( the ones from which they’ve already sold the paper?) . 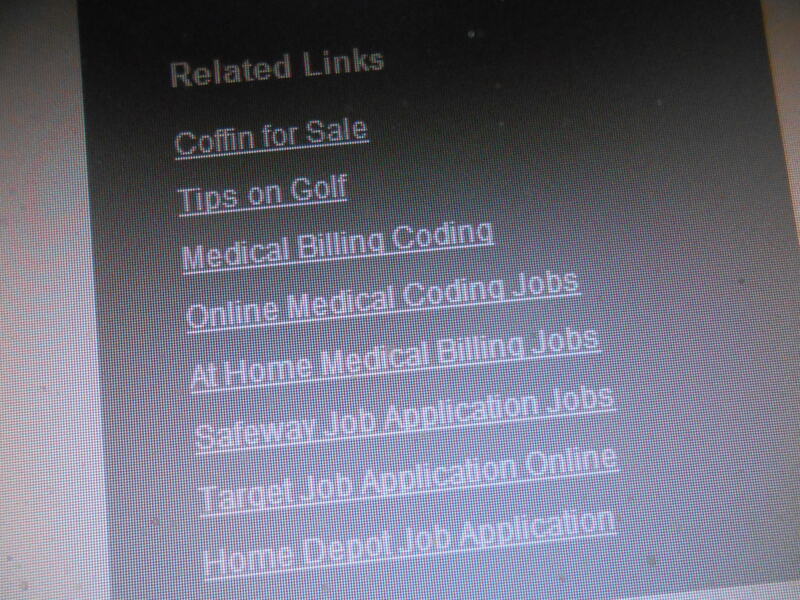 Coffin for sale? 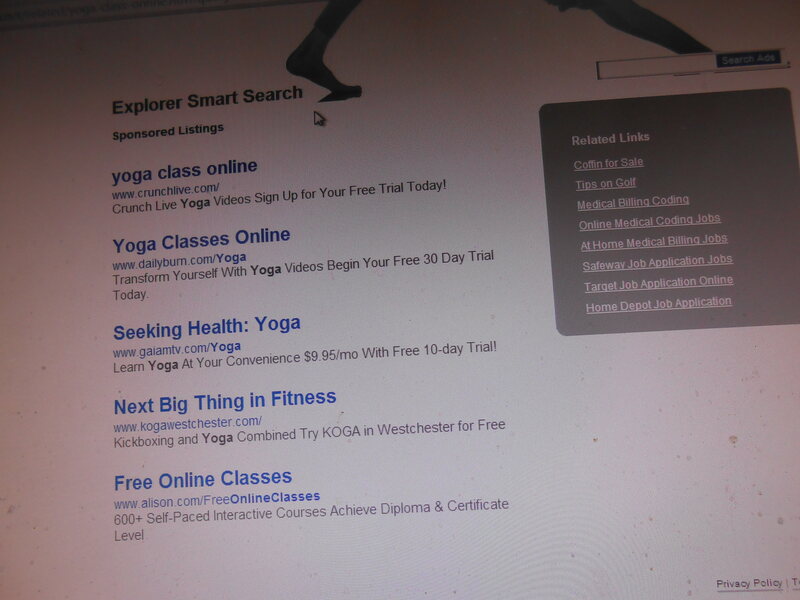 Just think – all these years I’ve been thinking yoga was good for me. So you see – friends who chuckle and think I’m referring to writing when I say words are my life don’t know the half of it! If you’re a Red Bull imbiber, I guess you know you’re entitled to a $10 refund. It seems some disillusioned Red Bull “athletes” won a class-action lawsuit claiming they’d been misled by the sports beverage maker’s claims that drinking Red Bull would boost their performance and reaction times. I’ll reserve judgement as to whether they were incredibly gullible or just thought of a way to boost their chances of fifteen minutes of fame. They’re sure not getting rich off it! But it did get me thinking and I ‘d like your opinion. 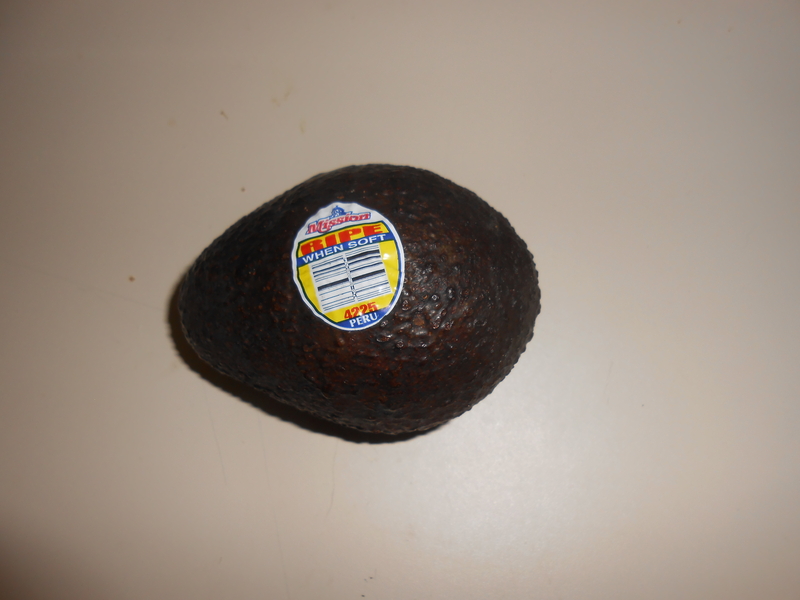 Should I sue the avocado growers who banked on me seeing the bright red RIPE and not the smaller blue-bordered when soft. But I guess I don’t have any legal leg to stand on since misleading as it may be – they are telling the truth. And how about this. I didn’t buy it but one of my co-workers did. 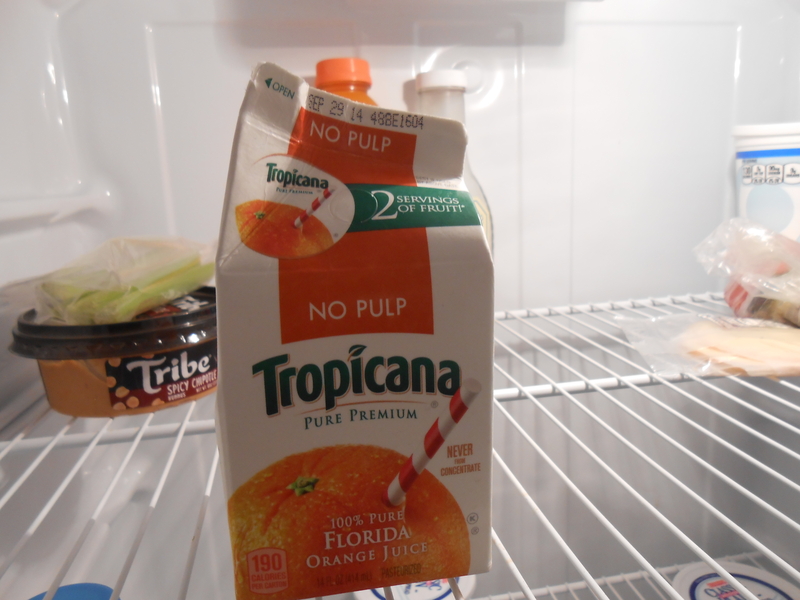 The words screamed out at me when I opened the fridge in the break room. 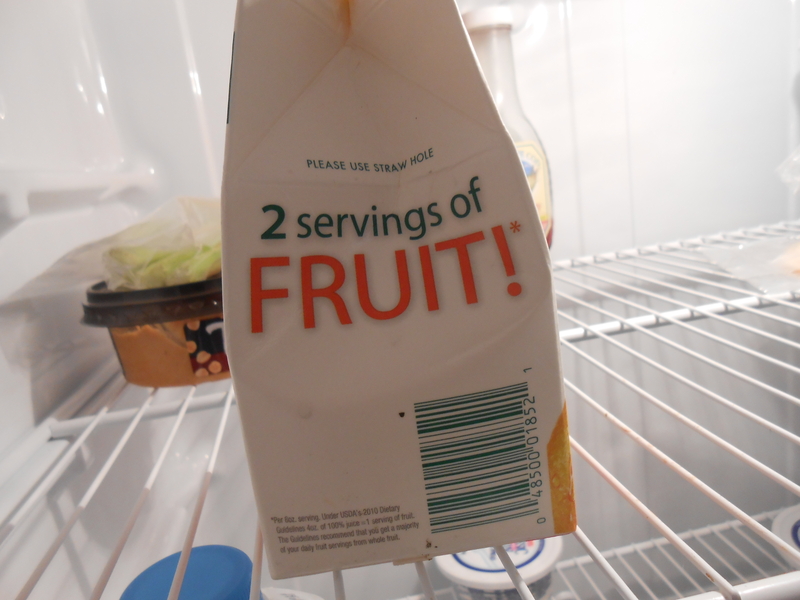 Now I ask you – fruit but no pulp? Hmm. Get a load of this statement. 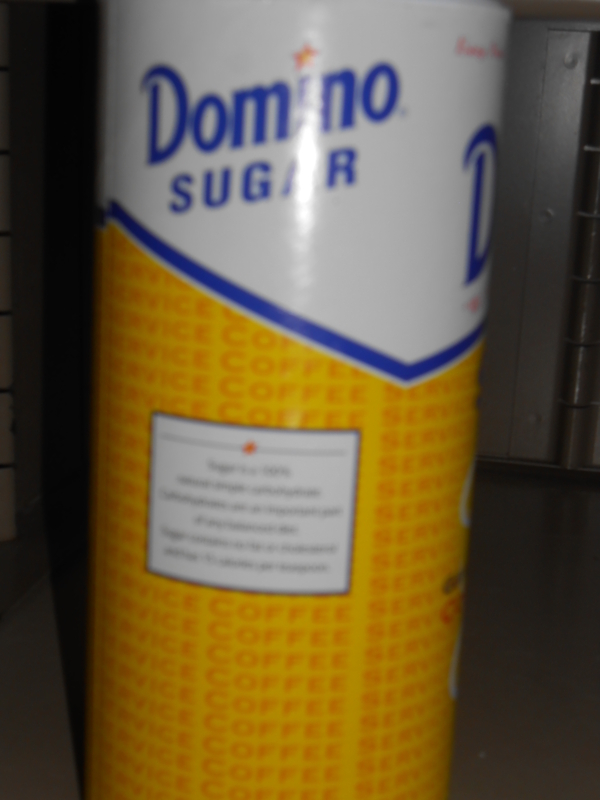 Domino sugar is taking a chance on my interpretation. Oops! Guess you can’t see it. I’ll write it out. Well, I’m a firm believer in karma, so I’ll let these go. But there is one question that’s been going round and round in my inquiring mind for many moons. 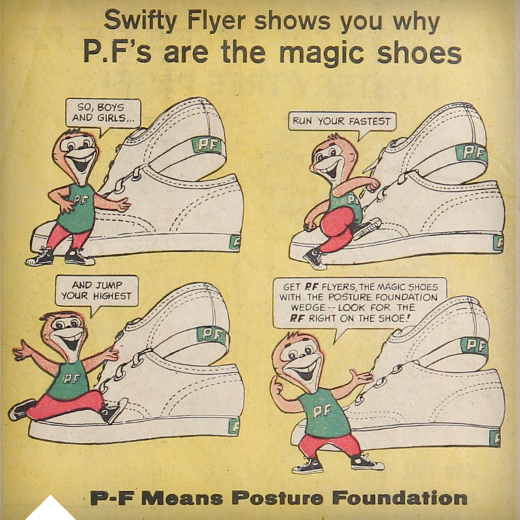 Anybody remember Keds and PF Flyers, the Nikes of the 1950’s? 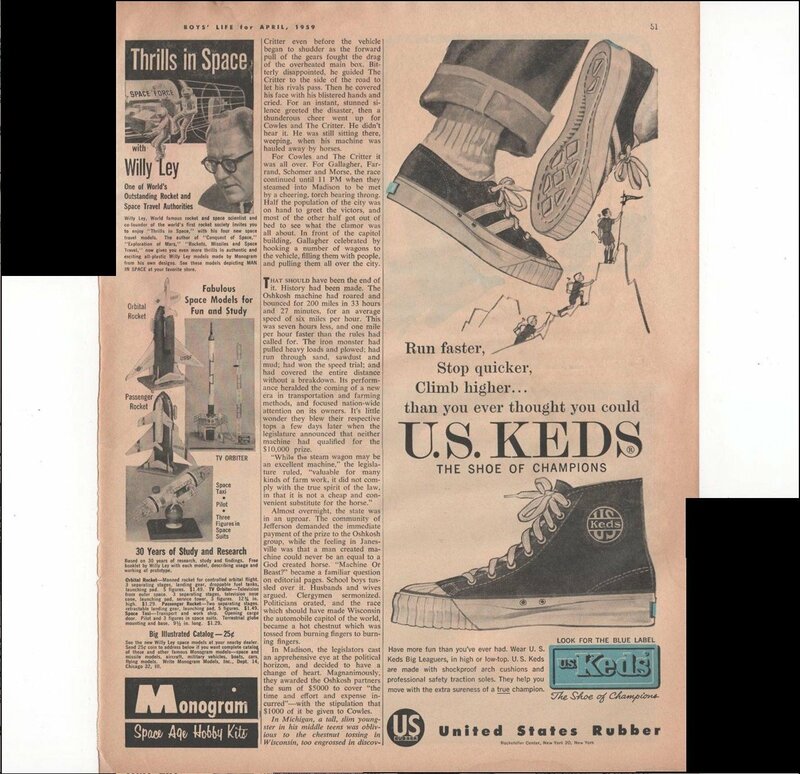 Did Keds live up to their promises? My mother would never buy them for me so I had to make do with generic sneakers. She said all those ads were just nonsense. But maybe you had a pair of Keds or PF Flyers. Was my mother right? If she was – you just might have the makings of a class action suit. I never knew since my mother refused to pay their prices. She said it was all just nonsense p. so any baby boomers out there, was she right? If so, maybe you can sue for nonsense. Red Bullers did. Seeing the truck wasn’t a surprise. Seeing how close it was less than a yard from the house was! 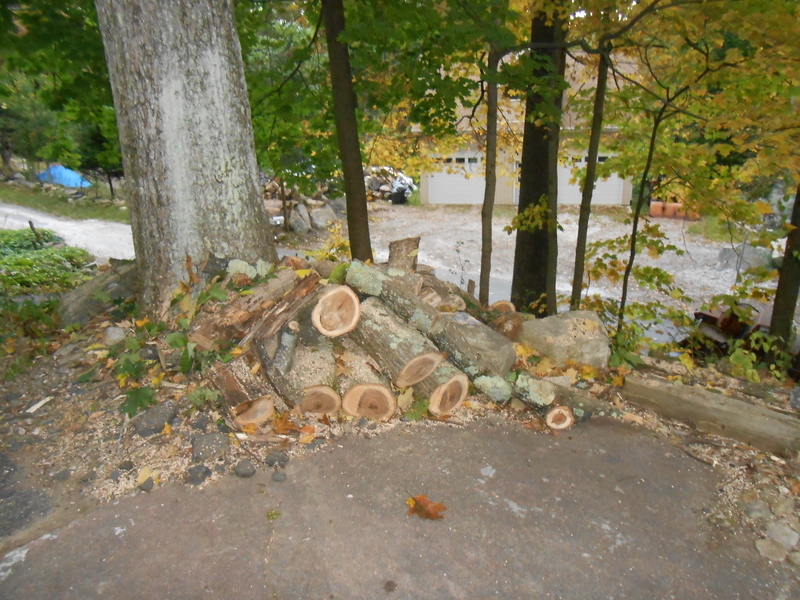 I’d arranged (sort of) to have two trees cut down. One was growing very close to the house, and its branches were dangling perilously over the power and cable lines. I do hate to end any life but since nearly half the lower branches were dead I rationalized I was putting it out of its misery. 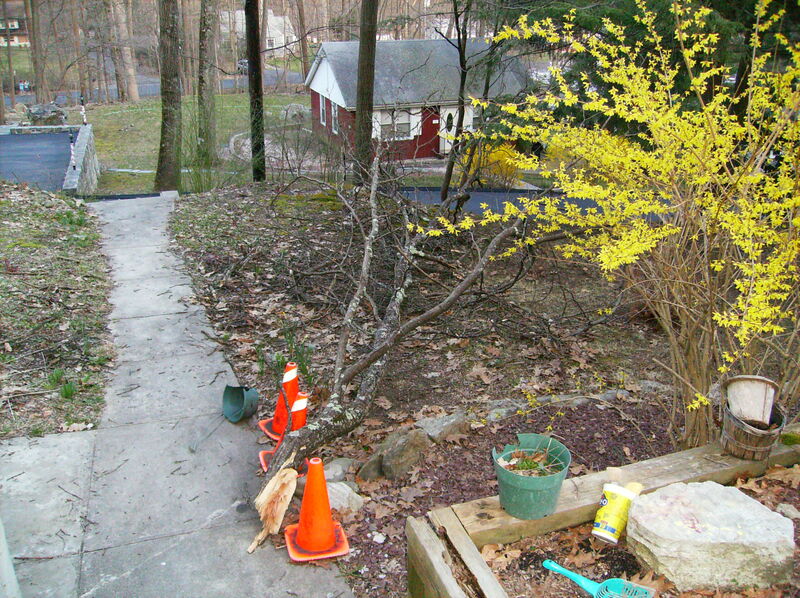 Plus, it had misbehaved in a storm a few years back – dropping a limb, the size of a small tree across the walk. 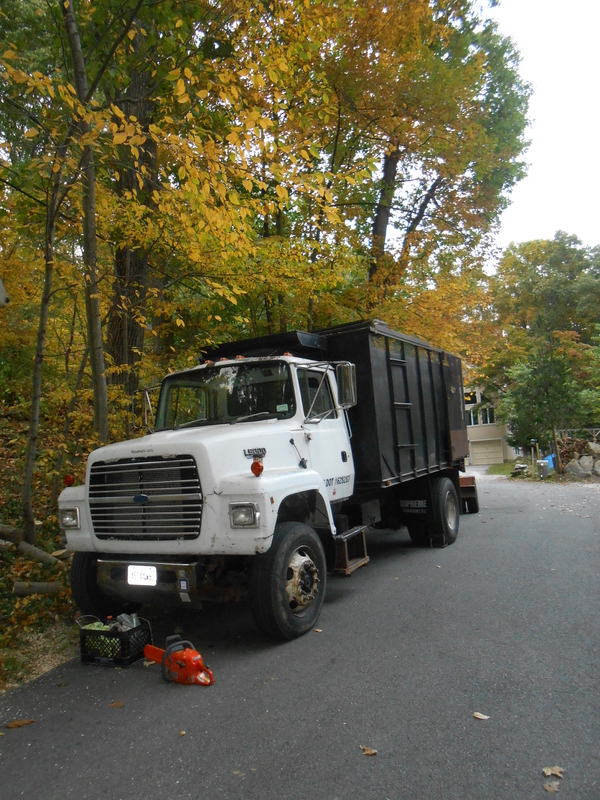 Long story short – He gave me a great price on the two trees and said he would clear out several pesky ones that had sprung up on the slope down to the road and seemed to be losing their sense of vertical. 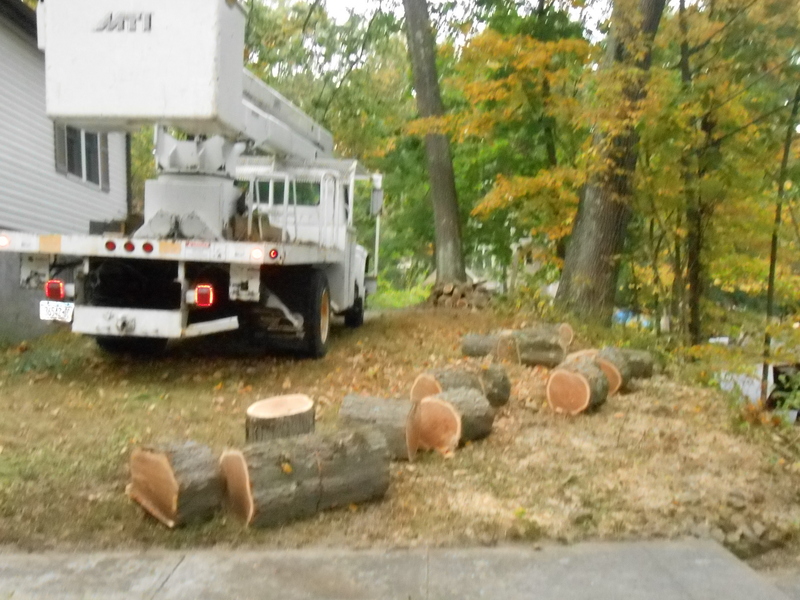 That was it!He gave me a great price and said I’d come home one say that week and find my trees gone. True, to his reputation, a week passed and the trees were still there. Then, the following Wednesday, he came, he saw, he conquered. 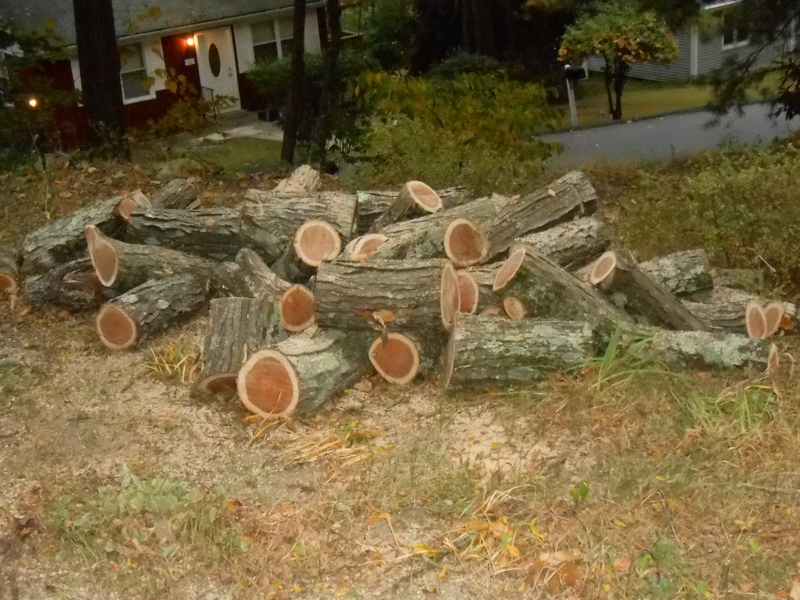 There was more but one of my neighbors with a wood stove had already begun work clearing the yard. The puzzling part was that there was not a soul around – just the trucks . It was a bit ghostly. 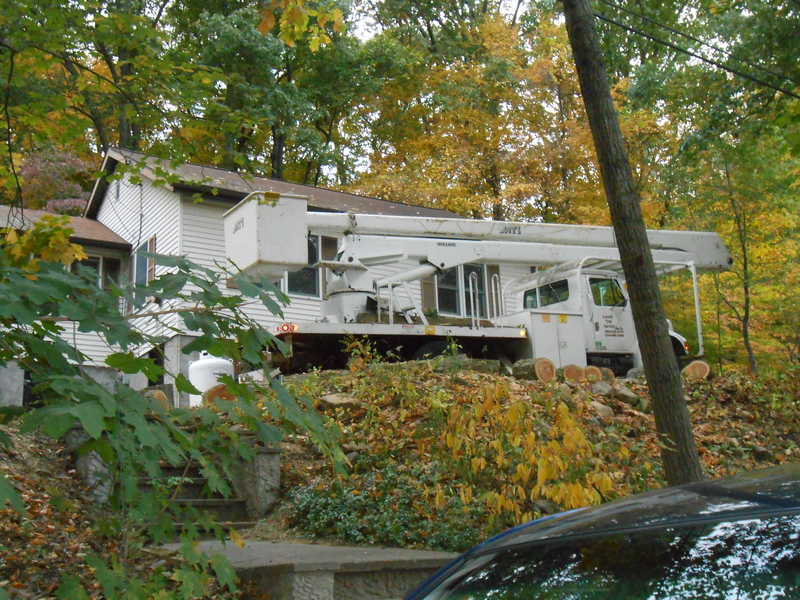 The neighbor who’d sung his praises the loudest surmised he was on another job. Without his truck? I thought, but said nothing. Instead I called Lussier and of course, left a message. “Come back for your money.” I also assumed he wanted his trucks! I got back no message but the next morning at 8, there he was climbing out of a pickup truck and coming up my driveway – coffee cup in hand. PS – Seven days and counting – the money is still waiting on my dining room table.